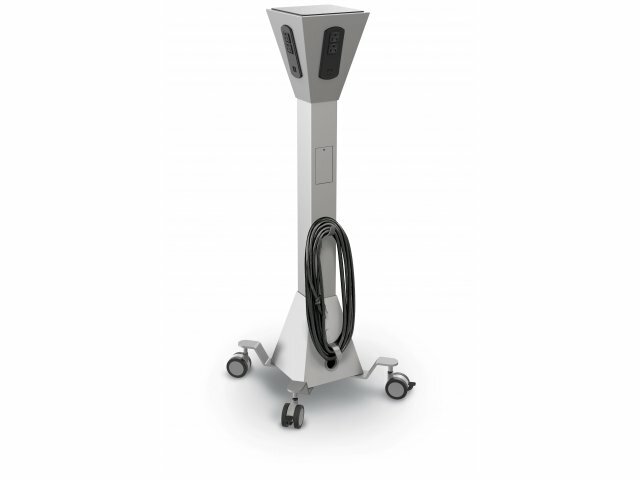 The iTeach Mobile Power Tower provides a personal charging station for each student. This power source fits perfectly in the center of a learning cluster, offering two AC outlets and two USB ports on each of its four sides. This allows students to keep any device charged up throughout their lessons. Rather than focusing on fighting over outlets, students will have more time to concentrate on the task at hand. This mobile charging tower is designed for convenience from top to bottom. The sturdy aluminum frame includes an integrated cord winder, where the cord can be safely stowed away to prevent damage and injury. Four dual wheel casters make it easy to reposition or transport as room layouts evolve. 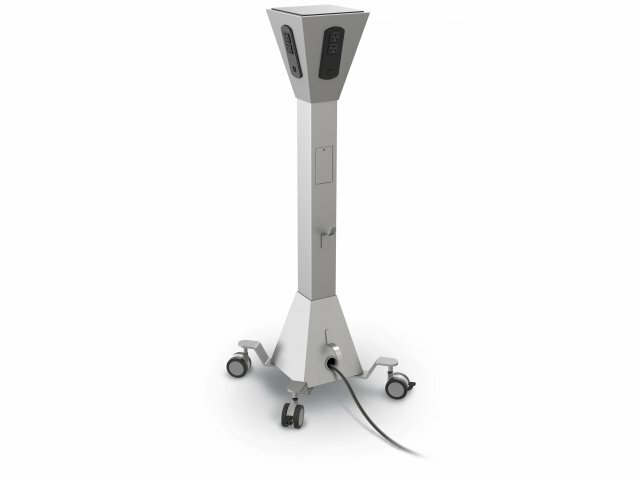 This mobile power tower is ideal for any learning space where devices are used. 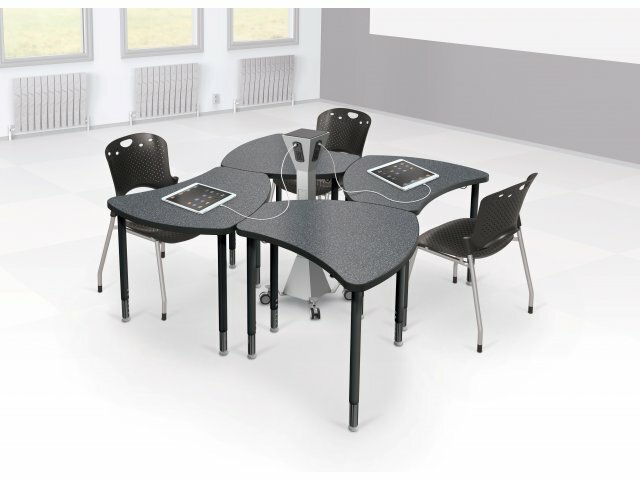 Convenient: Fits well in the middle of a cluster of tables, providing easy access on all four sides. Personal Power: Includes two USB ports and two AC power outlets on each side (for a total of 8 USB ports and 8 AC power outlets). Durable Material: Durable aluminum frame supports reliable, long-term use. Safe Design: Integrated cord winder keeps cord safely out of the way when not in use. Smooth Rolling: Rolls on four dual-wheel casters (2 locking).